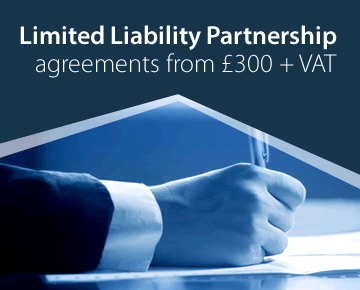 Partnerships and Limited Liability Partnerships (LLPs) have separate pages. We can attend to all your company formation needs, including non-standard provisions in the company's articles, special share capital arrangements, public limited companies, companies limited by guarantee and all company law and company secretarial matters. A PLC must be registered with a name which ends in the words 'public limited company' or the letters 'PLC' and must have a share capital of at least £50,000. Only a PLC may offer shares or other securities to the public, and a company must be a PLC to be listed on the Stock Exchange or Alternative Investment Market (AIM). Some aspects of the Companies Acts apply a stricter regime to such companies. A PLC should only be registered on advice from an accountant or solicitor. We offer a standard service but find that, in practice, most such companies involve some special drafting or other service. Our charges for forming a PLC are £189.00 (including registration fee and VAT) for a standard service and £98.00 (including registration fee and VAT) for a basic service. The specifications for the standard and basic services are the same as for private companies (see company formations). You cannot presently order a PLC on-line, so please contact us to place your order. We can also convert private companies to PLCs and vice versa as one of our Company Law Solutions services. A company limited by guarantee does not have a share capital but is controlled by its members. Apart from rules affecting shares, the Companies Acts generally apply to a company limited by guarantee as to any other private company. The main uses for such companies are for charities, voluntary bodies, clubs, societies, etc. For more details, refer to our specialists at Community Companies CIC. Where a property is divided into units (e.g. a large house divided into several flats) a company is often set up to own the freehold (or superior lease) of the property and to maintain the common parts, effect repairs, etc. Such a company may be limited by shares or by guarantee and special memorandum and articles are required. For more details, visit the property management companies page of this website. The Commonhold and Leasehold Reform Act 2002 provides a right for leaseholders to take over the landlord's management functions by transferring them to a special company set up for the purpose, the Right To Manage (RTM) company. The right was introduced to empower leaseholders, who generally hold the majority of value in the property, to take responsibility for the management of their block. It applies only to leaseholders of flats, not of houses. The process is relatively simple. The landlord's consent is not required, nor is any order of court. The right is exercised by the service of a formal notice on the landlord. After a set period of time, the management transfers to the right to manage company (the RTM company) which has been set up by the leaseholders. Once the right to manage has been acquired, the landlord is also entitled to membership of the company. We cannot advise about putting the process into effect, but we can set up the RTM Company. There are special regulations in the RTM Companies (Model Articles) (England) Regulations 2009 as to the contents of the articles of association. Our standard charge for the formation of an RTM Company is £180.83 plus £36.17 VAT plus the £13.00 registration fee (total £234). The company can be registered electronically. Contact us for further details. For more details, refer to our specialists at Community Companies CIC. A CIC is one formed for the benefit of the community. The two main features are the asset lock and the Community Interest Statement and Report. Under the asset lock provisions, the assets and profits must be permanently retained within the CIC, and used solely for community benefit, or transferred to another organisation which itself has an asset lock, such as a charity or another CIC.With every application to form a CIC, a Community Interest Statement must be lodged. This must certify that the company is formed to serve the community rather than private profit motives and must describe the activities of the CIC. A CIC may be limited by shares or guarantee. The registration fee is £35. They cannot be registered electronically as each company has to be vetted by the CIC Regulator. We have formed a number of CICs and can advise on them.More advice is available on the CIC Regulator's website. We can attend to all such matters as special share capital requirements, changes of company names, drafting special articles, etc. which are covered in detail on our Company Law Solutions website.